Previously, R2 could ping IP 10.150.30.254 which is a remote IP address on the BB3 side. 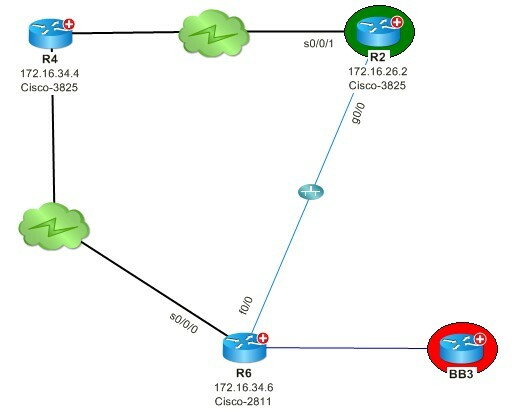 After someone implemented a network change, R2 can no longer ping this IP address. The physical diagram remains the same, but I believe some inbound or outbound policy has been added or changed. I don’t know what exactly the change is.